OXFORD JEWEL Adorn and Connect with History. For example, each link is made from sterling silver, each has a circular shape and similar size, and many are from the aesthetic period. Period Victorian. During the Victorian period, the age of archeological discovery was in full swing, and ancient civilizations like Pompeii were being discovered what felt like every decade. OXFORD JEWEL Adorn and Connect with History. A design of a fern, bird flying through the air, and a checkerboard reflect a more lighthearted scene. The piece is slim, but upon opening, a fair-sized cache is revealed. OXFORD JEWEL Adorn and Connect with History. Mark 9ct on the inside of the band. OXFORD JEWEL Adorn and Connect with History. This beautiful cluster ring dates from the Victorian era, which encompasses much of the 19. th century. During this period, it was rare for jewelry to be created—or worn—solely for aesthetic appeal. Thus, attaching this small gold trumpet to your bracelet or necklace may have been a clear indication of your love of music. Made from solid 9-karat gold, the trumpet is decorated with pretty scroll designs. 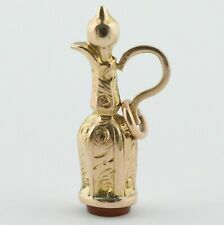 This small gold charm from the Victorian era is a tiny, ornate teapot. The teapot’s elongated shape and flourished handle suggest a Turkish or Middle Eastern origin. On the bottom, a natural carnelian stone serves as a burst of hidden color and a pretty platform. There is 1 tiny gold thread that is broken and few small green spots on chain that may clean off otherwise good condition. This is an antique Victorian gold filled lavalier pendant. It has a lovley design with floral center set with a seed pearl. It’s on a gold filled curb chain. See photos close up for more information on condition. I did not convert this one but it has the scars on back from a pin removal. The crescent garnets are in great shape. It is not noticeable when wearing. 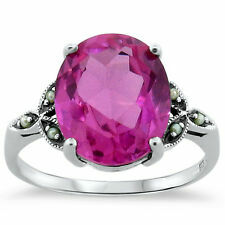 Garnets are dark red but with light flash vibrant red. They are all very well done and they are all beautiful. There is a Portrait of a Lady that is amazingly gorgeous with Blue Glass Beading around the Edge, and there are Two beautiful Floral Hand Painted Pins. The hinged bangle bracelet is sterling silver. It is etched and has a safety chain. There are multiple little charms to add to your liking to the chain bracelet. The brush is from 1904, silver plated by Derby Silver Co. This densely textured bangle bracelet from the Victorian era doesn’t reveal its full detail until you examine it up close. Condition Excellent, there are no dents or irregularities to the repousse design and the bracelet is fresh looking with a solid shape. This is a beautiful Antique Victorian 14K gold seed pearl Necklace. As I said I am not certain on that fact, you be the judge! Either way this is still a beautiful antique piece! This is exactly how this piece was found. Really neat piece of Egyptian revival jewelry circa 1880. The gold gilt on the front is a little worn, still there but lighter than it probably started off. The back of this is silver in color with very minimal scarring from the pin removal. This minimalist Victorian bracelet features an uncommon design: a crane or heron twisting its neck around, a rose gold loop in its beak. On one end, a rose gold plated sphere anchors the end of the bracelet, while on the other, the graceful head of a heron rests on the bracelet. The key would be kept by one partner and the heart the other. Its front is adorned with textural scroll designs, which draw the eye toward the padlock. OXFORD JEWEL Adorn and Connect with History. This 9-karat gold charm is quite petite, but highly detailed. Material Tests for 9k solid gold, natural Agate. OXFORD JEWEL Adorn and Connect with History. Period Victorian. Ask Oxford Jewel. This Chain and Slide looks like real gold. It is a beauty! Each side is 28" long, and it can be doubled or worn the way you wish. You can wear it anyplace on the chain. It is Gold Filled but looks like real gold. Antique Bohemian Garnet Pendant circa 1880. This is a very sweet swag of flowers and leaves cascading down with bohemian garnets (tested) and small pearls. Material Tests for 9k Gold and Silver, natural Crystal. OXFORD JEWEL Adorn and Connect with History. With gently sparkling crystals wrapping across the top of your finger, this ring is a lovely example of antique jewelry from the early Victorian period. Antique Victorian Steampunk Jewelry Lot! Silver butterfly pin and poison ring. OXFORD JEWEL Adorn and Connect with History. This antique brooch was made in Scotland during the Victorian era. It’s an incredible example of the skillful inlay work that occurred in Scotland. The stones include dozens of natural agates individually cut and fit together. Lot Of Antique Victorian Costume Jewelry Earrings Cameo Pendants Gold Filled. Nice group. See photos for details. New ListingANTIQUE Victorian or Edwardian Gold Filled Photograph Necklace Locket - Pendant! This is a lovely antique gold, or gold filled, photograph/hair locket, dating from the late 1800's. It doesn't appear to ever have been worn, and the two glassed-in oval purple paper ovals inside the locket do not appear to have ever had any photos or hair placed in them. There is a purple rhinestone missing off one of the earrings. The jewelry that is very old and exhibits wear and age. As always,I appreciate your interest and wish you GOOD LUCK! OXFORD JEWEL Adorn and Connect with History. th century. Beautiful silverwork forms the extravagant scroll design, loosely resembling a heart. Finally, a single glass ruby dangles from the bottom. ANTIQUE VICTORIAN EDWARDIAN STERLING SILVER PENDANT IMPRESSIONIST DOUBLE ART. Shipped with USPS First Class Package. ESTATE ITEM,PREOWNED AND USED. PICTURES SAY IT ALL. PLEASE LOOK CLOSELY AT PICTURES AND ASSES YOUR OWN RISK. PENDANT IS TWO SIDED . IT HAS TWO IMPRESSIONIST PICTURES. ONE SIDE IS A BALLERINA SITTING ON THE BEACH AND THE OTHER SIDE IS A MAN FISHING. THE SIDE WITH THE MAN HAS A SIGNATURE BUT I CANT MAKE IT OUT. THE PENDANT HAS EUROPEAN MARKS. ITS NOT PERFECT BUT IT IS BEAUTIFUL. SOLD AS FOUND. SALE IS FINAL, NO RETURN, NO EXCEPTIONS. ASK QUESTIONS BEFORE BIDDING. GOOD LUCK. UP FOR YOUR CONSIDERATION IS A STUNNING ANTIQUE VICTORIAN GOLD GILT FACETED BLUE GLASS PENDANT. 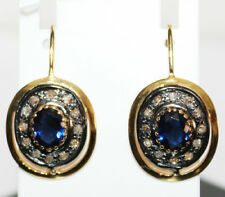 IT IS IN EXCELLENT CONDITION AND READY TO WEAR. ANTIQUE VICTORIAN LARGER 1 3/4" ENGRAVED YELLOW & ROSE GOLD FILLED FLORAL LOCKET NECKLACE. The condition is used per owned some minor wear around edges and light scratches see photos all expected with age. No monogram. Chain 24" and is marked gold filled locket is not signed I can find no maker or stamp. Please ask any questions before purchase, NO Returns, prompt payment, see photos for sizing and condition. Box not included. Thanks for looking. Shipped with USPS First Class Package. A lovely antique Victorian solid 10K rose gold belcher chain. This fine solid 10K rose gold belcher chain has wonderful gently hammered links which add a nice texture to the chain. The chain has a push-in barrel clasp, is unmarked and tests for 10K gold. The chain is approximately 16 1/2 inches long. the links are about 2mm wide. The chain is in general good condition. One area shows two pushed in links and two repaired links. The clasp works well. Please check pictures. Thanks for looking and please take a look at my other items!. It is made of silverplate, and the silver looks to be in good condition with a little tarnish. There's three chains, and 4 pieces hanging. It weighs a total of 30 grams. It would be a great addition to any antique collection! Antique 14K rose gold ladies ring set with a lovely bird carved onyx cabochon accented with natural seed pearls and a 1/2pt. Gemstones: Onyx (natural, carved cabochon); Diamond (natural, rose cut); Natural Seed Pearls. Sterling silver forms the modestly puffy heart. The petite heart charm would be perfect for a charm bracelet or a delicate silver necklace chain. Small heart pendants like this one were a way of announcing your romantic devotion to your partner during the Victorian era. Antique 10K Yellow Gold Victorian Crescent Moon Brooch with Seed Pearls-Nice!!! New ListingANTIQUE VICTORIAN SCOTTISH SILVER & BANDED AGATE BROOCH, PIN - c1870's! ANTIQUE VICTORIAN SCOTTISH SILVER & BANDED AGATE BROOCH, PIN - c1870's!. Gorgeous Agate. This is an AS IS ITEM. Shipped with USPS First Class Package. Made in the Etruscan Neo Classic style they have fine wire work on both their round, button shaped topper and the ornate cone "bead" which dangles below. Wee little half seed pearls are set in the center of the button topper and at the very bottom of the cone drop. Here we have a carved coral rose and seed pearl necklace set in 14k gold The necklace clasp is marked 14k and the length of each of the 2 connecting chains is 7" in length. I deal mostly in silver so I am no expert in jewelry. Antique Victorian Art Deco Vintage Jewelry Lot Rhinestones Glass, Crown Trifari. These are all very wearable pieces. Lot features forty (40) pairs of earrings, one necklace, one bracelet, one ring, one brooch, and one sweater/ shoe clip. Condition: Fair, the turtle is missing one leg. There are also quite a few little french jet cabs missing. The glass that is in place is fresh looking and the piece still has its charm intact. Age: Victorian. In fact, it was common for one to give a cutting of ivy to a friend as a symbol for your devotion. Delicate ivy leaves are etched across the surface, creating an organic checkerboard as a background. You never know what I will dig up in Western Pennsylvania! Never a reserve! Check back to see what I’ve discovered! I’m very picky as to what I list and each piece will be in the best possible condition I could find. LARGE APPROX 2 1/4" ACROSS. THIS IS SO PRETTY. ANTIQUE VICTORIAN SCOTTISH SILVER & BANDED AGATE BROOCH, PIN - c1870's!